Although most Montessori schools try to remain faithful to their understanding of Dr. Montessori’s insights and research, they have all, to some degree, been influenced by the evolution of our culture and technology. Perhaps the more relevant question in selecting a Montessori school is to consider how well it matches your sense of what you want for you child. No one educational approach can be right for every learner. The wisest goal is to seek out the best fit, not only between the student and the school, but also between the parent’s values and goals for their child’s education and what a given school can realistically deliver. I believe that finding the right school for mom and dad is as important as finding the right school for the child. In the end, the selection of a Montessori school comes down to a matter of personal style and preference. If you visit a school and find yourself in harmony with its ambiance and practice, it will represent at least one example of what you define to be a good school. In determining which school is best, we all have to trust our eyes, ears, and gut instincts. Nothing beats personal observation. The school that one parent raves about may be completely wrong for another’s child. Conversely, another parent may have decided that “Montessori doesn’t work,” while it clearly is working very well for your family. 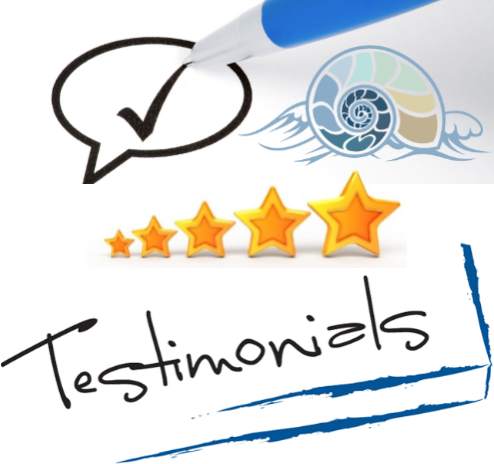 Rely on your own experience, not hearsay from other parents. 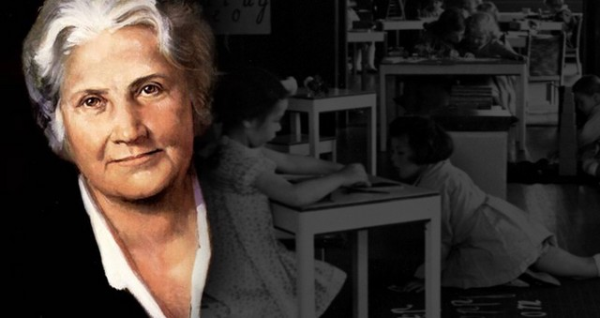 Dr. Nancy McCormick Rambush, founder of the American Montessori Society and co-founder of the Montessori Foundation, identified the characteristics of an “authentic” Montessori school. The following ideas are excerpted from The Authentic American Montessori School: A Guide to the Self-Study, Evaluation, and Accreditation of American Schools Committed to Montessori Education, by Dr. Nancy McCormick Rambush and Dr. John Stoops, published in 1992 by the Commission on Elementary Schools of the Middle States Association of Colleges and Schools and the American Montessori Society. A Child-Centered Environment: The focus of activity in the Montessori setting is on children’s learning, not on teachers’ teaching. Generally students will work individually or in small, self-selected groups. There will be very few whole group lessons. A Responsive Prepared Environment: The environment should be designed to meet the needs, interests, abilities, and development of the children in the class. The teachers should design and adapt the environment with this community of children in mind, modifying the selection of educational materials available, the physical layout, and the tone of the class to best fit the ever changing needs of the children. A Focus on Individual Progress and Development: Within a Montessori program, children progress at their own pace, moving on to the next step in each area of learning as they are ready. While the child lives within a larger community of children, each student is viewed as a universe of one. Hands On Learning: In Montessori, students rarely learn from texts or workbooks. In all cases, direct personal hands-on contact with either real things under study or with concrete models that bring abstract concepts to life allow children to learn with much deeper understanding. Spontaneous Activity: It is natural for children to wiggle, touch things, and explore the world around them. Any true Montessori environment encourages children to move about freely, within reasonable limits of appropriate behavior. Much of the time they select work that captures their interest and attention, although teachers also strive to draw their attention and capture their interest in new challenges and areas of inquiry. And even within this atmosphere of spontaneous activity, students do eventually have to master the basic skills of their culture, even if they would prefer to avoid them. Active Learning: In Montessori classrooms, children not only select their own work most of the time, but also continue to work with tasks, returning to continue their work over many weeks or months, until finally the work is “so easy for them” that they can teach it to younger children. This is one of many ways that Montessori educators use to confirm that students have reached mastery of each skill. Self-directed Activity: One of Montessori’s key concepts is the idea that children are driven by their desire to become independent and competent beings in the world to learn new things and master new skills. For this reason, outside rewards to create external motivation are both unnecessary and potentially can lead to passive adults who are dependent on others for everything from their self-image to permission to follow their dreams. In the process of making independent choices and exploring concepts largely on their own, Montessori children construct their own sense of individual identity and right and wrong. Freedom Within Limits: Montessori children enjoy considerable freedom of movement and choice, however their freedom always exists within carefully defined limits on the range of their behavior. They are free to do anything appropriate to the ground rules of the community, but redirected promptly and firmly if they cross over the line. Intrinsic motivation to learn: In Montessori programs, children do not work for grades or external rewards, nor do they simply complete assignments given them by their teachers. Children learn because they are interested in things, and because all children share a desire to become competent and independent human beings. Democratic: The teacher’s role is one of kindness mixed with firmness. The teacher responds empathetically to children’s feelings, while setting clear and consistent limits. Observer: The Montessori teacher is a trained observer of children’s learning and behavior. These careful observations are recorded and used to infer where each student is in terms of his or her development, and leads the teacher to know when to intervene in the child’s learning with a new lesson, a fresh challenge, or a reinforcement of basic ground rules. An Educational Resource: Montessori teachers facilitate the learning process by serving as a resource to whom the children can turn as they pull together information, impressions, and experiences. Role Model: Like all great teachers, the Montessori educator deliberately models the behaviors and attitudes that she is working to instill in her students. Because of Montessori’s emphasis on character development, the Montessori teacher normally is exceptionally calm, kind, warm and polite to each child. Respectfully Engaged With The Learner: The Montessori teacher recognizes that her role is not so much to teach as to inspire, mentor, and facilitate the learning process. The real work of learning belongs to the individual child. Because of this, the Montessori educator remains conscious of her role in helping each child to fulfill his potential as a human being and of creating an environment for learning within which children will feel safe, cherished, and empowered. Facilitates The “Match” Between The Learner And Knowledge: Montessori teachers are trained to identify the best response to the changing interests and needs of each child as a unique individual. Because they truly accept that children learn in many different ways and at their own pace, Montessori educators understand that they must “follow the child,” adjusting their strategies and time table to fit the development of each of their pupils. Environmental Engineer: Montessori teachers organize appropriate social settings and academic programs for children at their own level of development. They do this to a large degree through the design of the classroom, selection and organization of learning activities, and structure of the day. Mixed age groups: Montessori classrooms gather together children of two, three, or more age levels into a family group. Children remain together for several years, with only the oldest students moving on to the next class at year’s end. A Family Setting: Montessori classrooms are communities of children and adults. As children grow older and more capable, they assume a great role in helping to care for the environment and meet the needs of younger children in the class. The focus is less on the teachers and more on the entire community of children and adults much like one finds in a real family. Cooperation and Collaboration, Rather Than Competition: Montessori children are encouraged to treat one another with kindness and respect. Insults and shunning behavior tends to be much more rare. Instead we normally find children who have a great fondness for one another, and who are free from the one-up-man ship and needless interpersonal competition for attention and prestige. Because children learn at their own pace, teachers refrain from comparing students against one another. The Child As A Spiritual Being: Montessori saw children as far more than simply scholars. In her view, each child is a full and complete human being, the mother or father of the adult man or woman he or she will become. Even when very young, the child shares the rest of humanity’s hopes, dreams, and fears, emotions, and longing. From her perspective, this goes beyond mental health to the very core of one’s inner spiritual life. Montessori consciously designs social communities and educational experiences that cultivate the child’s sense of independence, self-respect, love of peace, passion for self chosen work done well, and ability to respect and celebrate the individual spirit within people of all ages and the value of all life. Universal Values: Montessori deliberately teaches children not only appropriate patterns of polite behavior, but seeks to instill basic universal values within the core of the child’s personality. These values include self-respect, acceptance of the uniqueness and dignity of each person we meet, kindness, peacefulness, compassion, empathy, honor, individual responsibility, and courage to speak from our hearts. Global Understanding: All Montessori schools are to large degree international schools. They not only tend to attract a diverse student body representing many ethnic, religious, and national backgrounds, but they actively celebrate their diversity. The curriculum is international in its heritage and focus, and consciously seeks to promote a global perspective. Service to Others: Montessori’s spiritual perspective leads Montessori schools to consciously organize programs of community service ranging from daily contributions to others within the class or school setting, to community outreach programs that allow children and adults to make a difference in the lives of others.